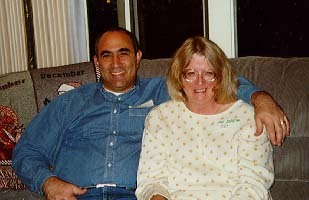 Phil and Jan were killed in a traffic accident near Milan, Italy on Friday June 20, 1997. A mailing list for communication among their friends has been set up at karlton-list@hamilton.com. To subscribe to the list, send mail to majordomo@hamilton.com with subscribe karlton-list in the body of the message. Mack Lundstrom of the San Jose Mercury News wrote an excellent story based in part on the material here. See the original story or a local text only version. Messages to karlton-list@hamilton.com are automatically archived here. There are a lot of one liners said by and about Phil like the one at the right. Here you can see and record more. You are one sick puppy. Send any contributions for this site to webmaster@karlton.hamilton.com.